Senate Republicans are looking to crack down on entitlement spending by eliminating double dipping in government unemployment and disability programs. On Wednesday, Sen. David Vitter (R., La.) introduced legislation that would prevent recipients from cashing in twice on unemployment and Social Security disability programs. 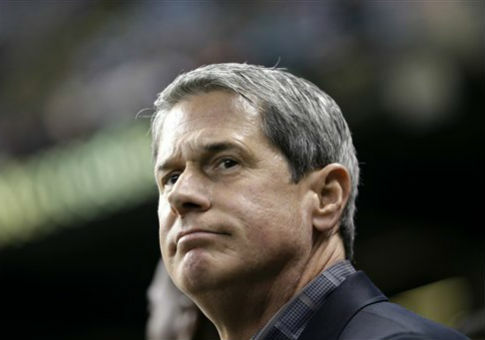 "Unemployment and disability insurance are meant to give folks a helping hand, but we need to make sure these programs aren’t being abused," Vitter said in a release. Under current law, recipients can collect benefit checks from Unemployment Insurance (UI) and from Disability Insurance (DI) concurrently, a practice referred to as "double-dipping." The UI program assists unemployed individuals by giving them weekly unemployment benefit checks while they look for work. In order to be eligible for benefit checks, jobless workers must be able and available for work. DI benefits are intended for those physically unfit for work. Vitter previously tried to pass legislation on this issue last year. With the new initiative, Vitter hopes to put a mechanism into the law that would prevent recipients from collecting Disability Insurance and Unemployment Insurance simultaneously. "If you receive Social Security disability benefits for being physically unable to work, you shouldn’t also receive federal assistance for not being able to find work," Vitter said. The Government Accountability Office estimates the overlapping cash benefits paid to 117,000 individuals who "double dipped" in fiscal year 2010 totaled over $281 million from DI and upwards of $575 million from UI. Eliminating "double dipping" would save an estimated $1 billion over 10 years, Vitter says. "My commonsense legislation would maintain the integrity of these programs, while making sure folks who truly need the help still receive it. This entry was posted in Issues and tagged David Vitter, Social Security, Unemployment. Bookmark the permalink. Mark Tyson is a Washington Free Beacon fall intern. He is a 2014 James Madison University graduate.